The world’s biggest companies depend on Rocket solutions to run their critical infrastructure, business processes, and data. We make it easier to unlock the business logic and data inside host-based systems to help speed digital transformation projects and meet the changing expectations of customers, constituents, and employees—a problem common to most Fortune 1000 companies. We also help IT departments streamline their daily operations through automation and optimization, helping them get more out of existing resources and freeing staff to focus on efforts that drive new revenue. From the clothes we wear to the cars we drive, Rocket solutions power the back-end systems that thousands of brands we interact with every day rely on to run their critical infrastructure, business processes, and data. At Rocket, support isn’t just a function—it’s a profession. When problems arise, our committed support professionals have the experience and product knowledge needed to diagnose and resolve most issues within hours. 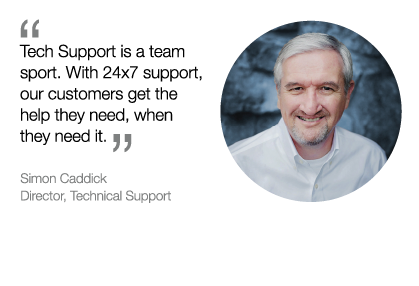 Learn more about Rocket Support Services. At Rocket, software has always been about people—not just ones and zeroes. We’re people solving problems for other people, and we strive to treat our customers, partners, and fellow Rocketeers with humanity. From office jam sessions to Las Vegas concerts, music is a common language that brings Rocketeers from all over the world together to collaborate and create. Music is at the heart of Rocket, and it’s a core part of who we are as a company.